This year my goal is to master the forcing of bulbs in water as I celebrate the completion of 6 months of allergy shots. Paul has completed the design and oversight of the construction on the doors to my safe garden haven and there is no dirt involved when you force bulbs in water. 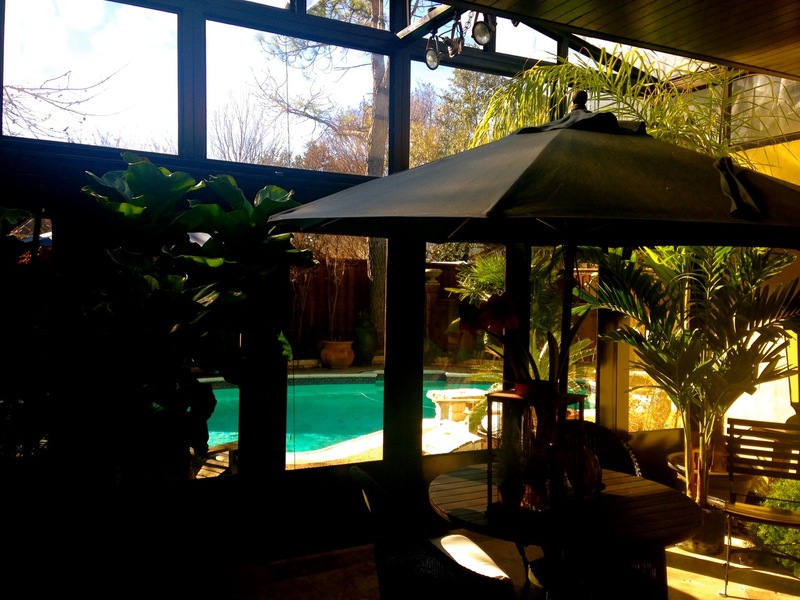 So in 2015 I will have a safe gardening activity in my safe haven conservatory -- free of fire ants. Thank you Paul. 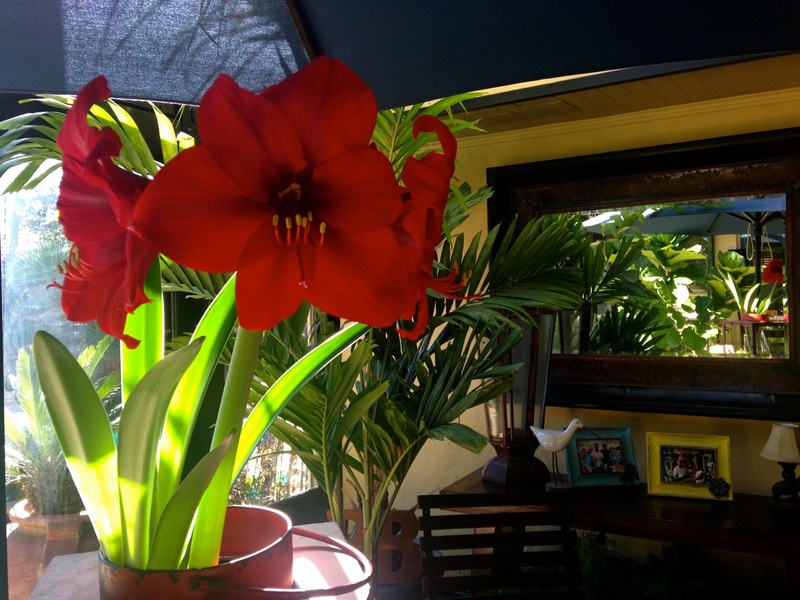 Red Lion Amaryllis forced in water.